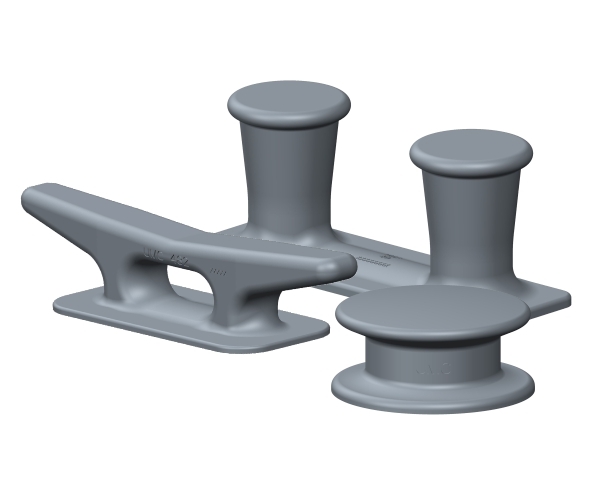 UMC’s extensive line of deck hardware will satisfy any deck application. All castings are produced using ASTM A27 Cast Steel. Whether you require Kevels, Kevel Chocks, Double Bitts, Single Bitts, Chocks, Roller Chocks, Roller Buttons or more, UMC has a tailored solution for you. Our deck hardware is available in many styles and sizes. Contact us today for assistance in selecting the appropriate deck hardware for your specific application.